I mentioned in my last post (which was, yes, quite a while ago) that I would be going on vacation to Japan with one of my sitemates. It was a very much needed break, and after having been back in Mongolia for a couple weeks and (finally) finished uploading a good chunk of the 2000+ photos I took to Facebook, I thought I would share a little about the trip. In order to keep this from becoming a miniature version of my Facebook photo albums, I’ll try to limit the photos but include hyperlinks to information and photos about the places and attractions we visited if you want to learn more. My two sitemates and I (the other was going on a trip to Bali) took the long bus ride from Uliastai to UB a few days before our flight, because no one wants to go from a 20-hour bus ride straight to a red-eye international flight. Our flight from UB to Seoul left just before midnight. All 4 of our flights were on Korean Air, which has the nice personal screens on the back of the seat in front of you, so of course I took advantage of this and watched a movie on every single flight instead of doing something sensible like sleep at 1 o’clock in the morning. We had a 5-hour layover at the Incheon International Airport, which we mostly spent eating Dunkin’ Donuts and sleeping on the seats at the gate of our next flight. I also bought a new camera at one of their duty free shops once they opened (reminder: I broke the camera I had specifically bought for Japan a week earlier at the Ice Festival). I’ve so far managed to not break this camera, and hopefully it will survive my last few months in Mongolia. Then we had our flight to Tokyo, arriving at about 11:30am to find it raining. Yay! As the first item on our agenda* was to visit a temple close to the airport, and we didn’t feel like carrying around all our luggage through the rain with just my one umbrella, we decided to skip that and go straight to the National Museum of Japanese History. By the time we got off the train for the museum, it was only barely drizzling, which was nice since we still had to walk a bit to get to the museum. After the museum, we took the train into Tokyo to check into our hostel. But we were both so tired that we fell asleep and missed our stop. Once we turned around and did get off at the right station, we had trouble actually finding the hostel, until a series of extremely helpful people managed to get the confused tourists to the right place. *The agenda was my 14-page, extremely detailed schedule of our trip, including a daily itinerary and how to get from place to place. My sitemate got a kick out of it, but I was extremely intimidated by Japan’s massive public transportation system and knew that if we didn’t know where we were going ahead of time and which trains/subways/buses to take and stations to get off at, we would have spent half our time in the country staring confusedly at maps and having the old, “So, what do you want to do now?”, “Eh, I don’t know. Whatever,” conversation 5 times a day. So we figured out which cities we wanted to visit ahead of time and what sites we wanted to see at each place. Then I spent my time at work when I wasn’t actually working on anything mapping out the sites in each city and figuring out the most time-conducive route to seeing as many of them as possible. We obviously (and expectedly) didn’t get around to everything on the list, but I like to think having it helped us see as much as possible. We went to Hakone, a resort town near Mt. Fuji famous for its hot springs and other attractions. 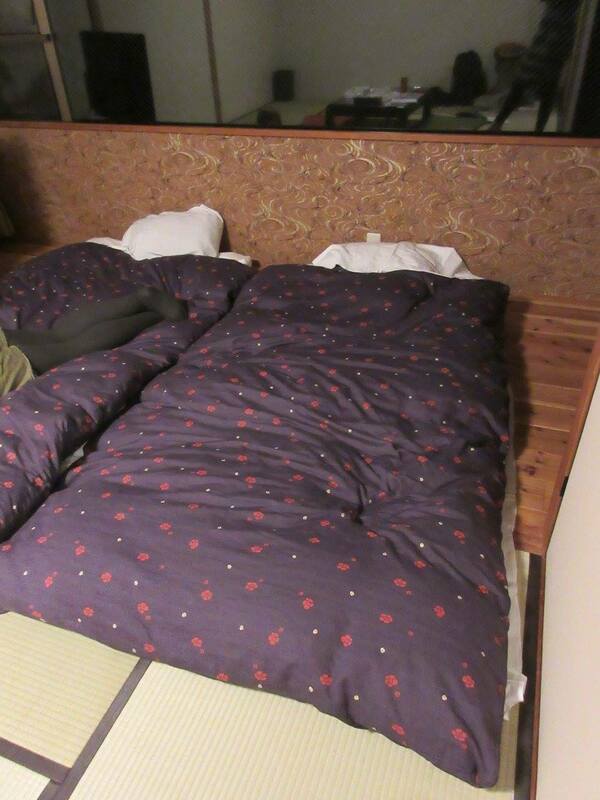 We had a private Japanese-style tatami room and slept on traditional futons. But before all that, we went on the standard tour of Hakone that is covered by the Hakone Freepass, which included bus rides, crossing Lake Ashi on a sightseeing cruise, taking the ropeway for an aerial view, the cable car, and the local train. Along the way, we visited Hakone Shrine, ate some fried calamari-on-a-stick, walked along “Ancient Cedar Avenue,” and visited Gora Park. 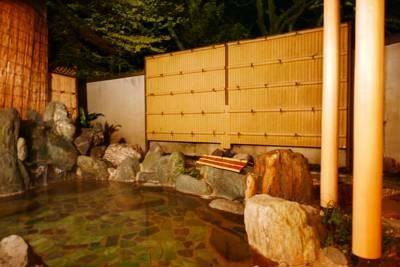 Then we spent the evening relaxing at the hostel and enjoying the hot springs. 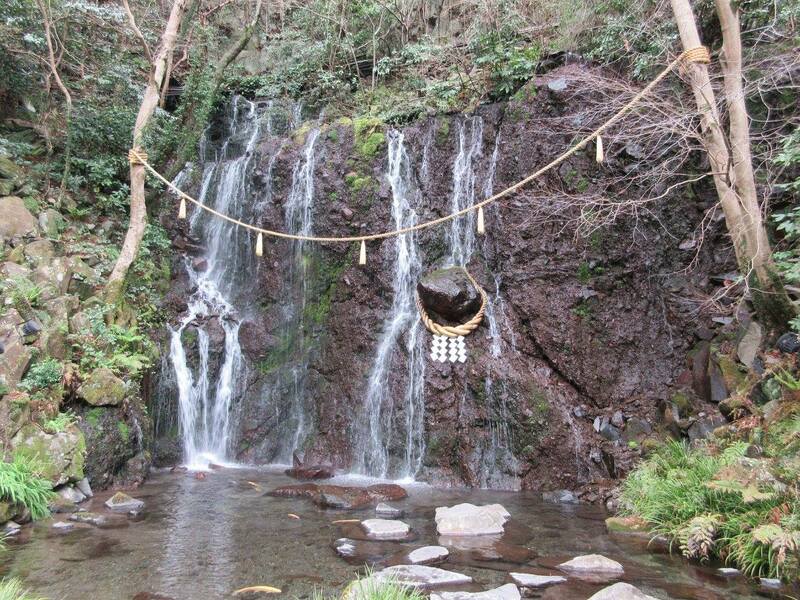 In the morning we walked to a couple waterfalls nearby (Hien Falls and Tamadare Falls), as well as a shrine between the 2 waterfalls. Hakone was one of my favorite parts of the trip, and I definitely recommend visiting (it’s conveniently only 1.5 hours from Tokyo by train). Then we headed back to Tokyo. 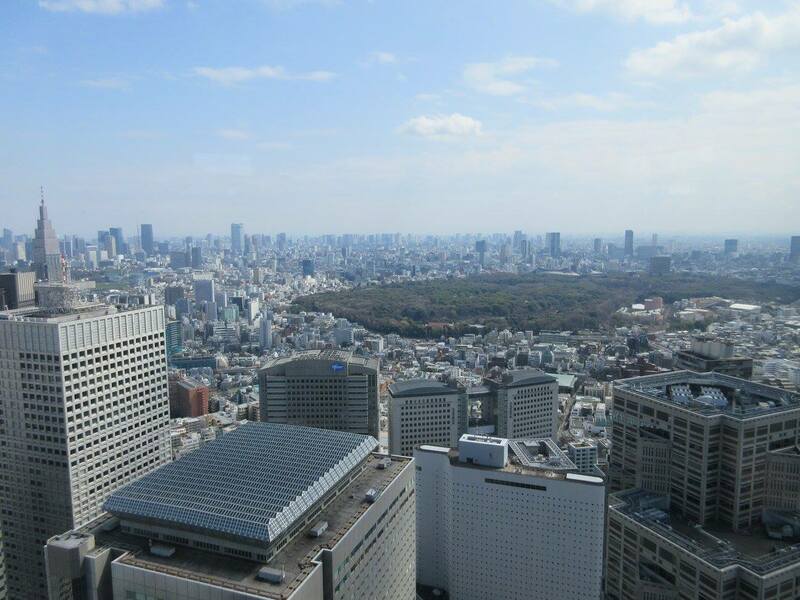 In lieu of going to the fairly expensive Tokyo Skytree or Tokyo Tower for views of the city, we went to the observation deck of the Tokyo Metropolitan Government Building, which was a much more agreeable FREE! Then we went on to Shibuya Station. Right outside the station is an intersection called Shibuya Crossing, which is supposedly the world’s busiest pedestrian crossing. 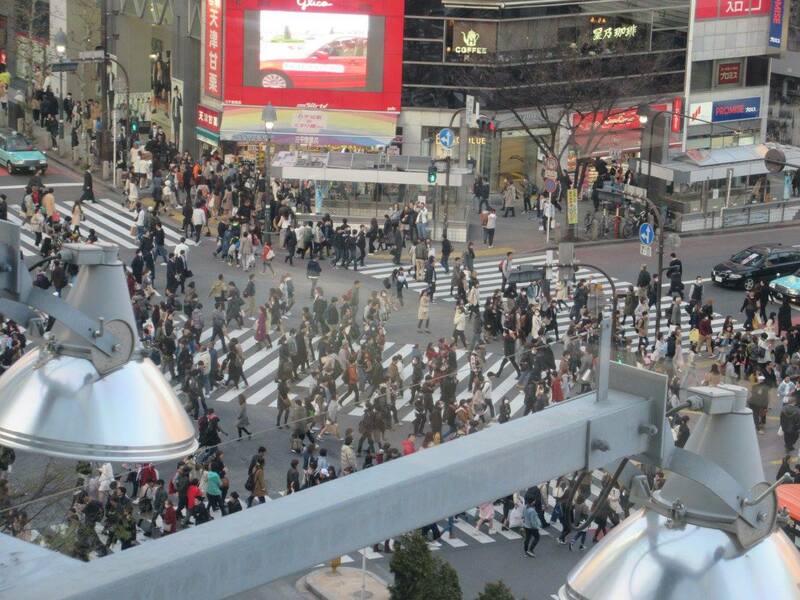 We got to experience the bustling crowds firsthand and then from above at a cafe. 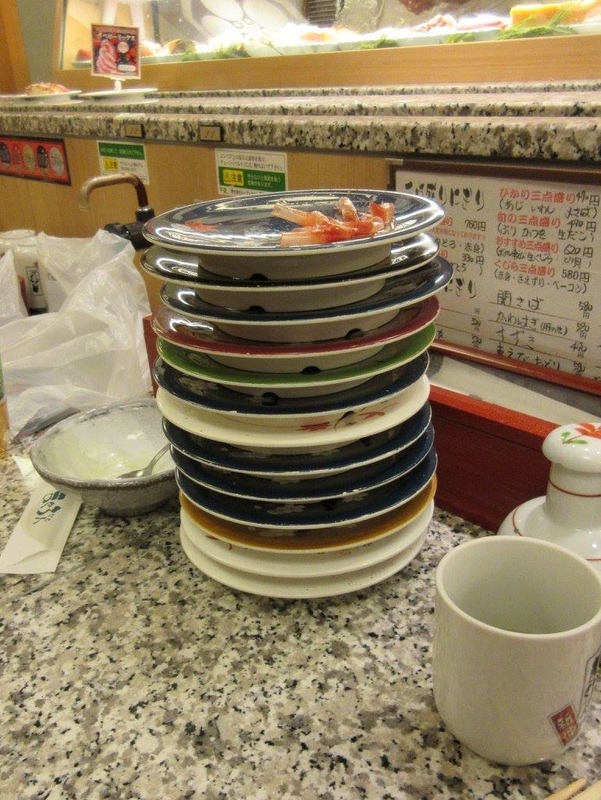 For dinner we had an amazing meal at a kaiten, or conveyor belt sushi restaurant, where you grab whichever sushi catches your fancy off the moving conveyor belt, and your bill is calculated based on the stack of color-coded-by-price plates you have left at the end. 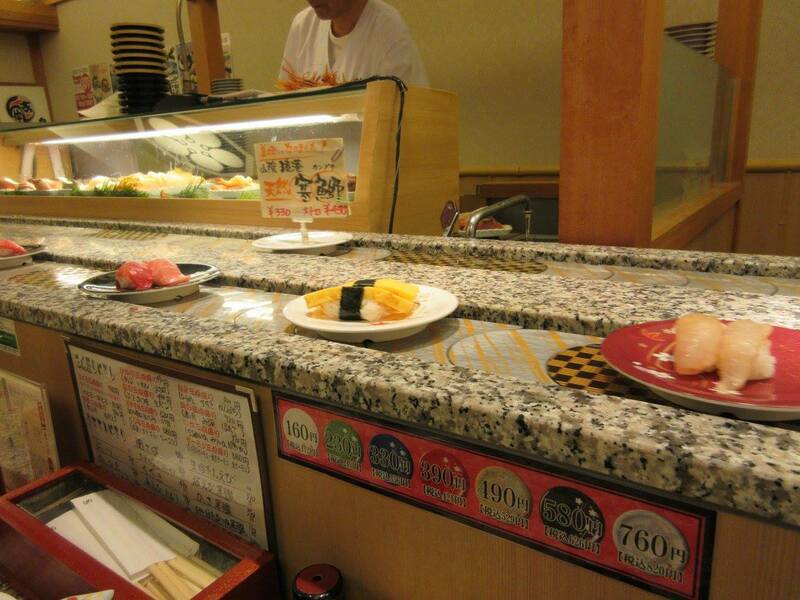 If you’re into sushi, I definitely recommend one of these restaurants! 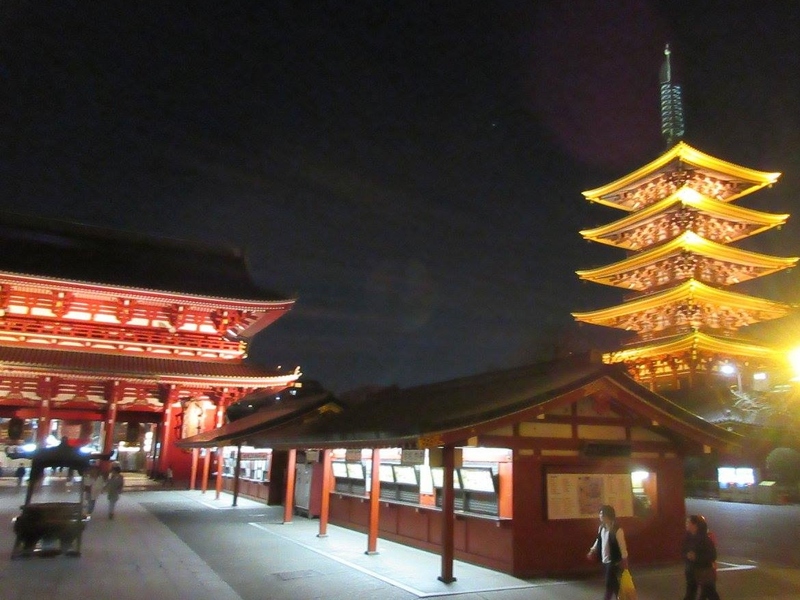 After dinner we visited the nearby Senso-ji Temple and Asakusa Shrine to see them lit up on the way back to our hostel. We took the Shinkansen (bullet train) from Tokyo to Kyoto. We had bought Japan Rail Passes, which are pretty expensive but certainly worth it if you’re going to multiple cities. 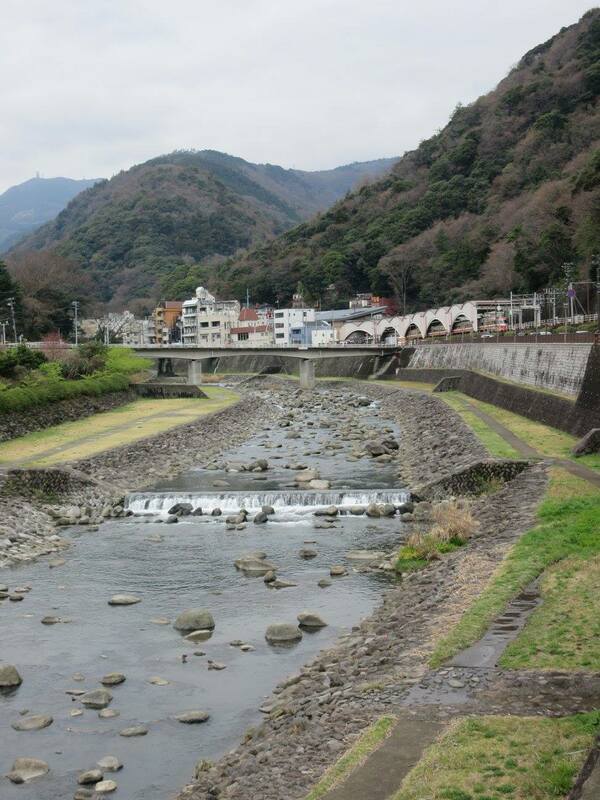 The JR Pass covers all but the fastest of the Shinkansen trains, and with the time that you save getting to your destination so much quicker (as opposed to taking the regular train or a bus), you get much more time for sightseeing. After arriving in Kyoto and dropping off our bags, we rented bikes from the hostel and visited Nijo Castle. 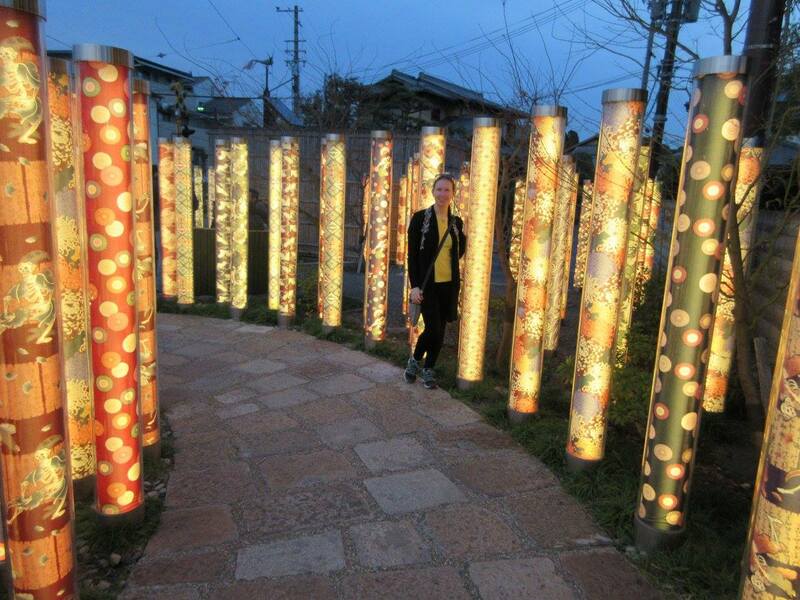 Then we headed to the Arashiyama area in the western part of the city, which is beautiful and well worth a visit (you could easily spend a whole day just in this area and not run out of things to see). 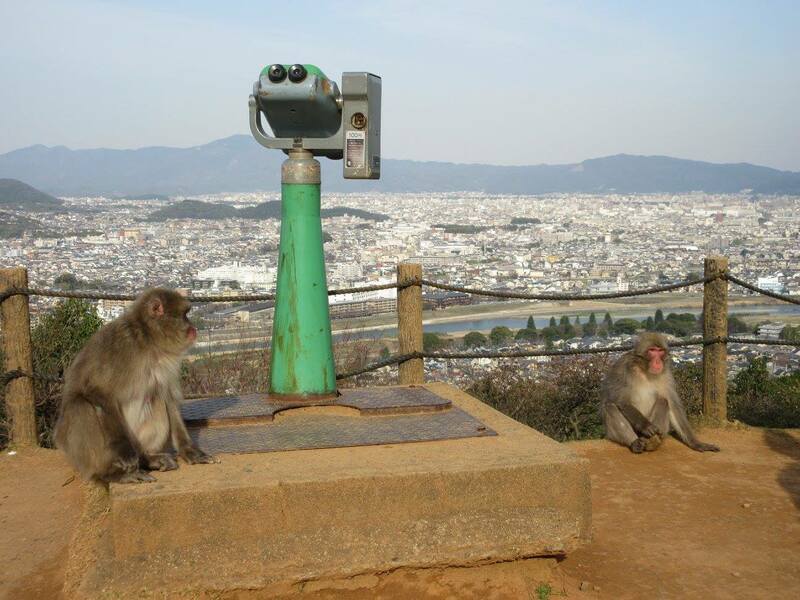 We crossed the Togetsukyo Bridge and hiked up a hill to Monkey Park Iwatayama, where over a hundred Japanese macaques roam freely. And get nice views of the city! 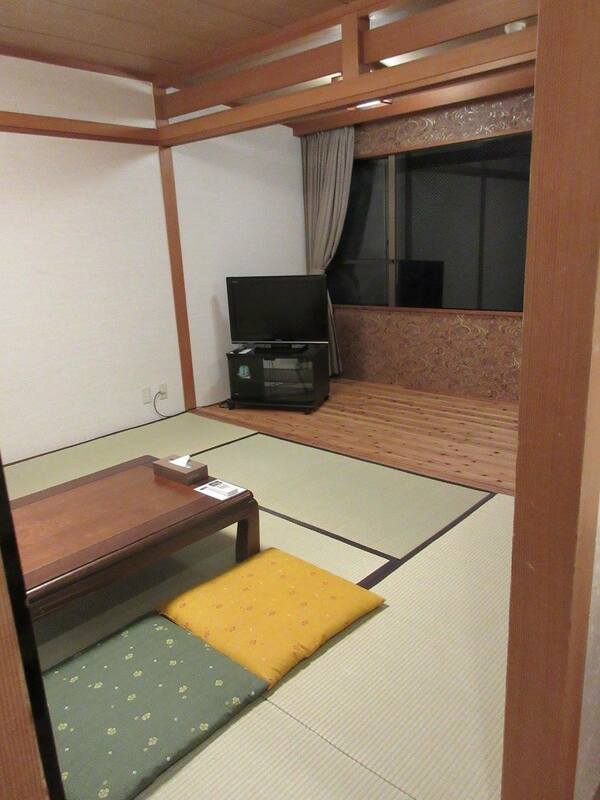 Then it was back to the “hostel,” which was a preserved 70-year-old Japanese house, so we got to experience some traditional living as well. Day trip to Osaka, which is just a 30-minute train ride from Kyoto. 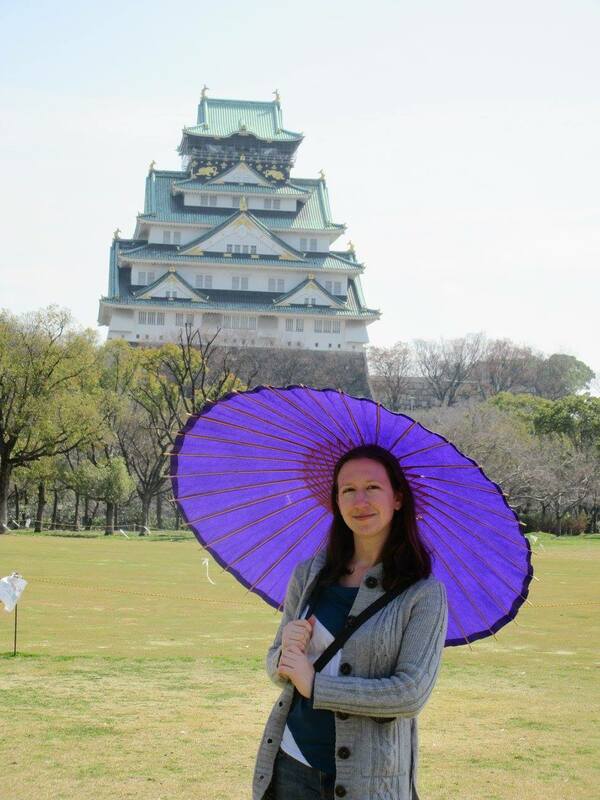 Our first stop was Osaka Castle (ok, our first first stop was Nisinomaru Garden located on the castle grounds). 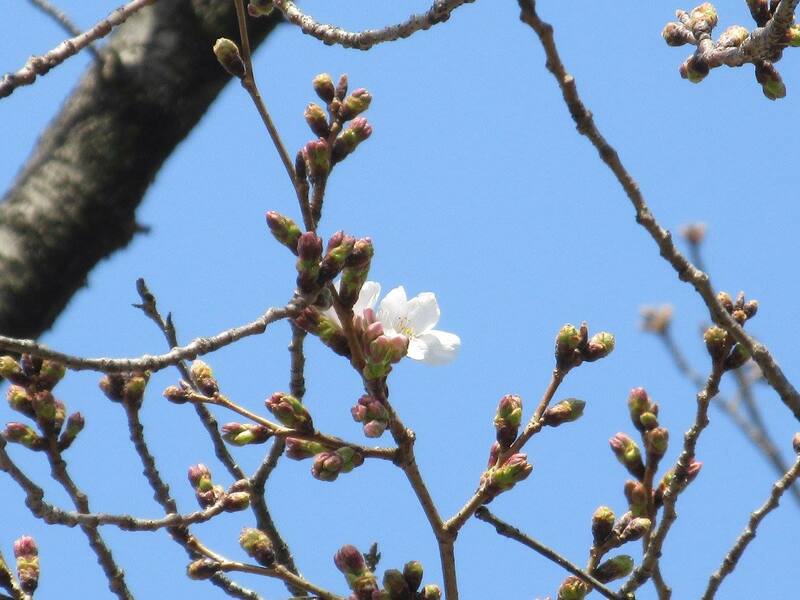 We noticed that there were what looked like news crews gathered around a patch of trees and were told by an English-speaking volunteer guide that they were reporting on the opening of the first cherry blossoms on Osaka’s official cherry tree. There are many different kinds of cherry trees that start blooming at different times, but apparently each city in Japan has a couple “official” trees that they base the beginning of cherry blossom season on. Osaka’s trees were in this garden, and the first blooms just happened to open on the day we were visiting. After exploring the castle, we (intended) to go on to Shitennoji Temple, but all my careful planning failed me and we ended up walking in the opposite direction and visiting Ikukunitama Shrine instead. I didn’t actually realize we had gone to a different place until we got back to Mongolia and I was uploading my photos to Facebook and labeling where they had been taken. Something did seem off at the time, since most (Buddhist) temples in Japan have an entrance fee (and I knew Shitennoji Temple would have one), but we didn’t have to pay to enter the place we were visiting (most [Shinto] shrines in Japan don’t have entrance fees). So it was a matter of looking at a map after the fact and comparing my photos to photos online of the temples/shrines in the area we had been in. 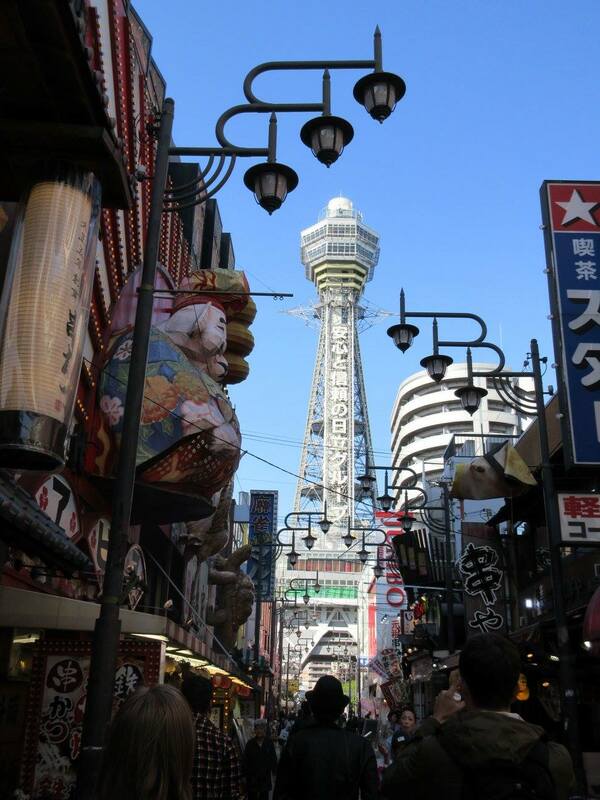 Then it was on to the bustling Shinsekai district to visit Tsutenkaku Tower and get views of the city. Our last stop in Osaka was the Osaka Aquarium Kaiyukan, which is one of the largest aquariums in the world and was well worth a visit. 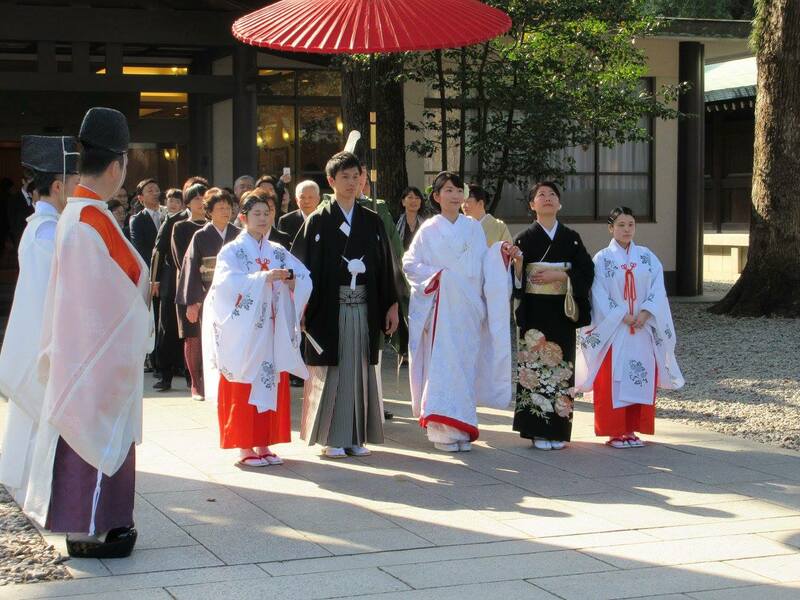 That evening we headed back to Kyoto, and our trip was half-way over! I’ll cover the rest of the trip in the next post.